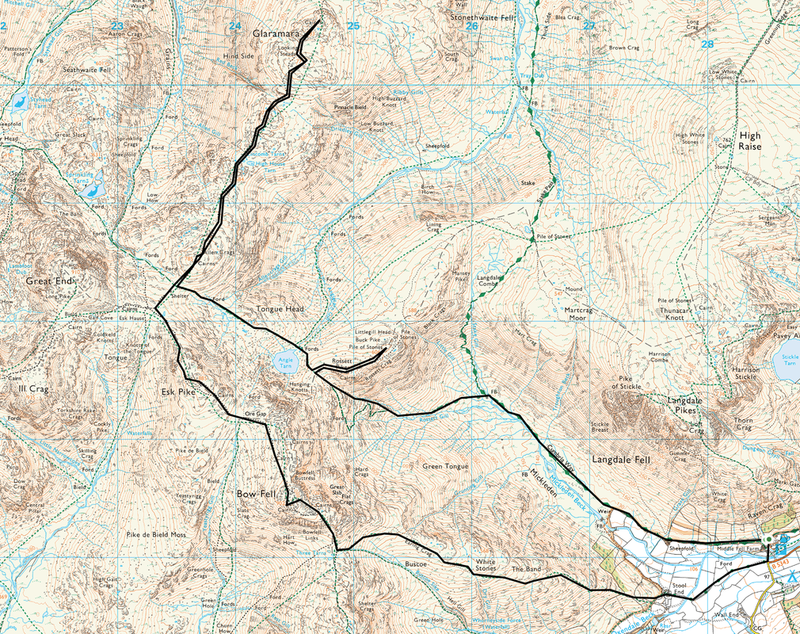 Mainly good paths throughout. 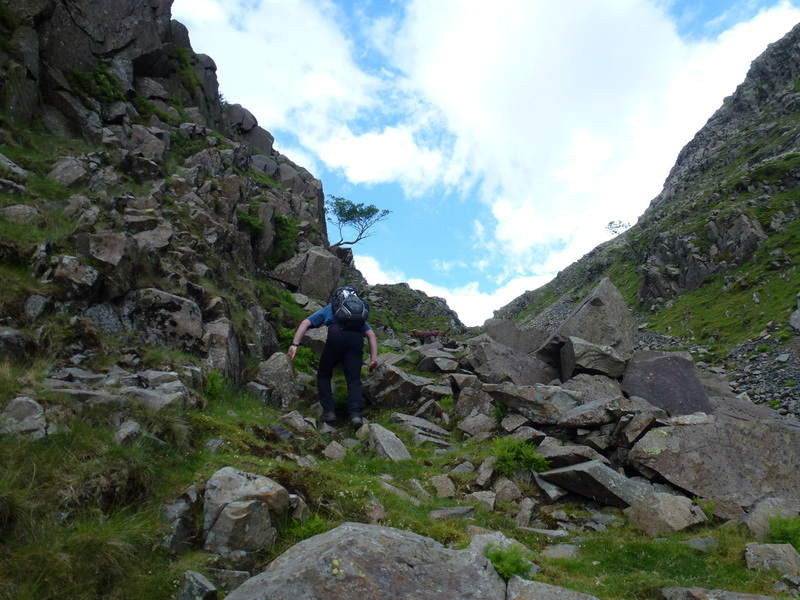 Care needs to be taken on the higher part of Rossett Gill where we deviated away from the main path - minor scrambling. 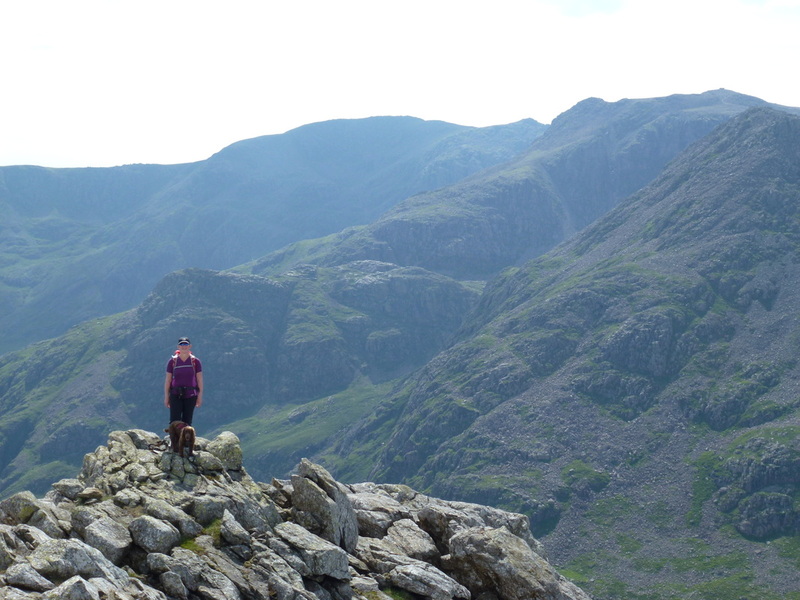 The descent of The Band, particularly after a long walk is hard on the knees! 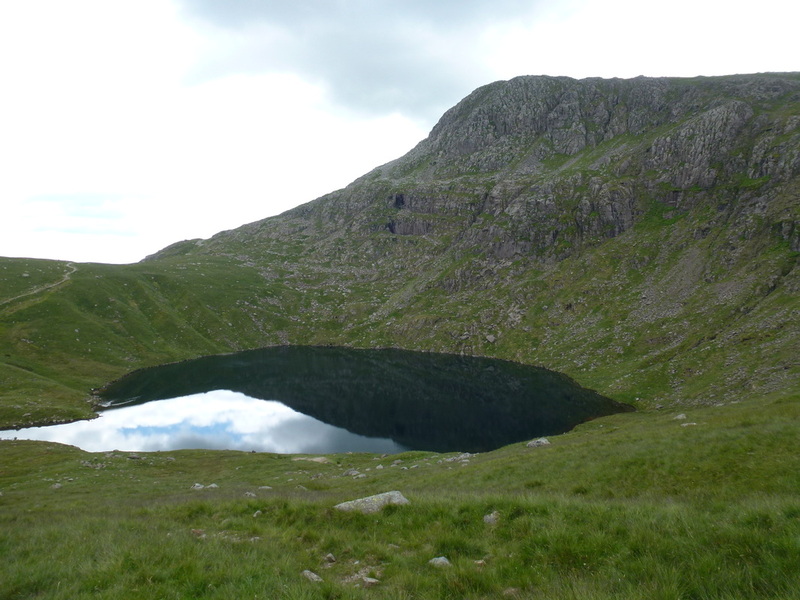 The area in and around Esk Hause can be confusing in mist. 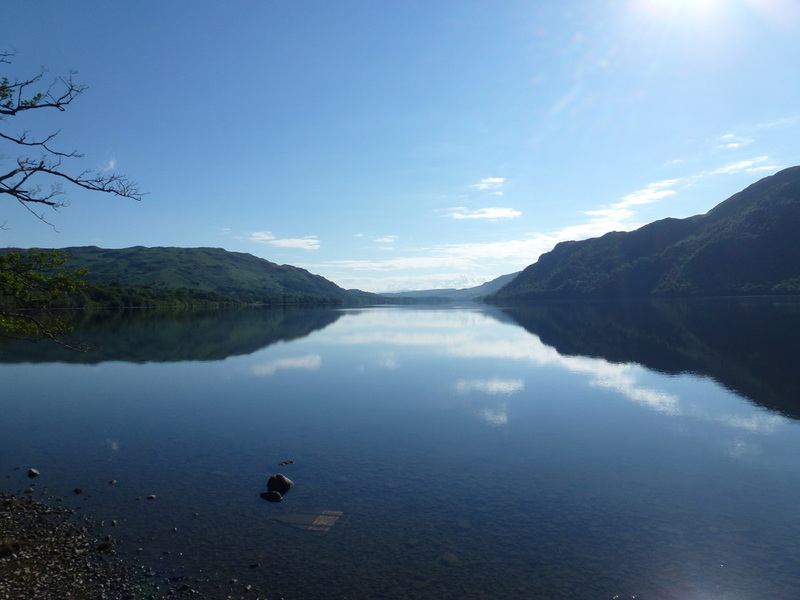 Mixed bag of overcast skies with sunny periods. 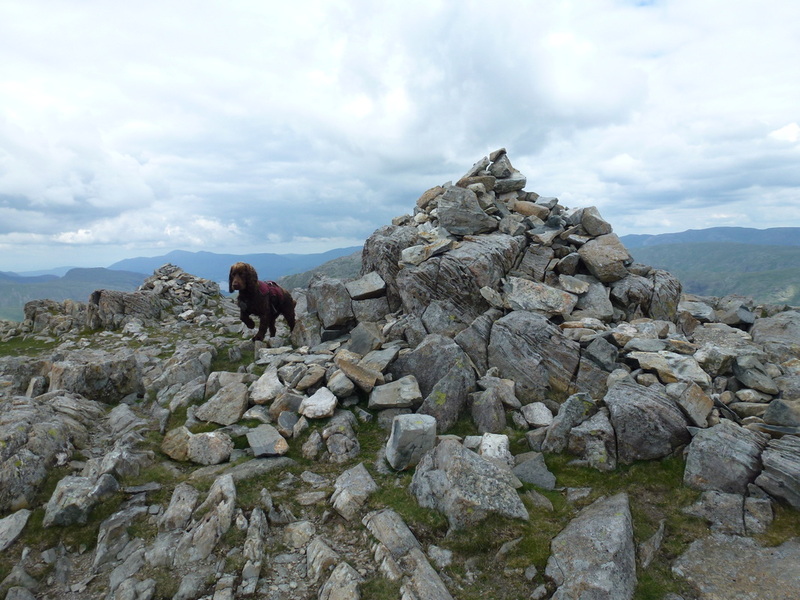 Very little wind with good visibility. 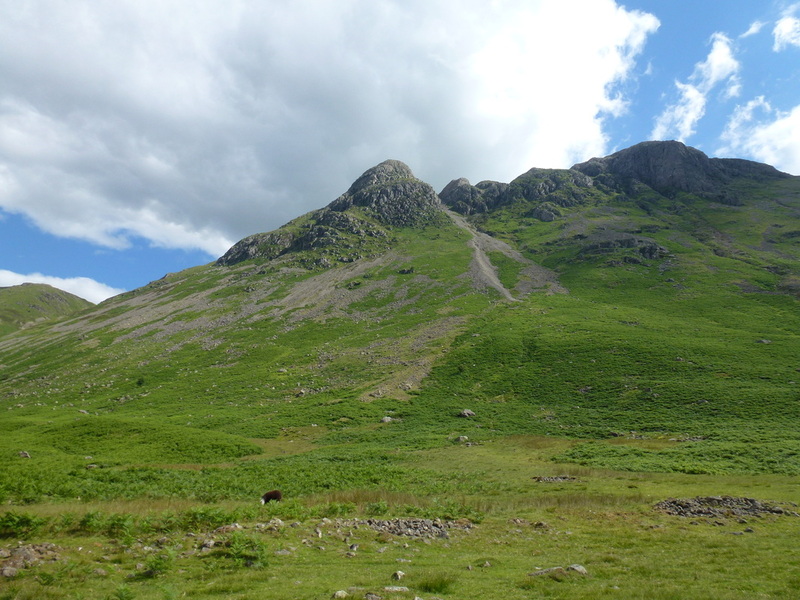 ​We had considered climbing Bowfell and Esk Pike when we were staying in Wasdale in May however we ran out of time and weather! 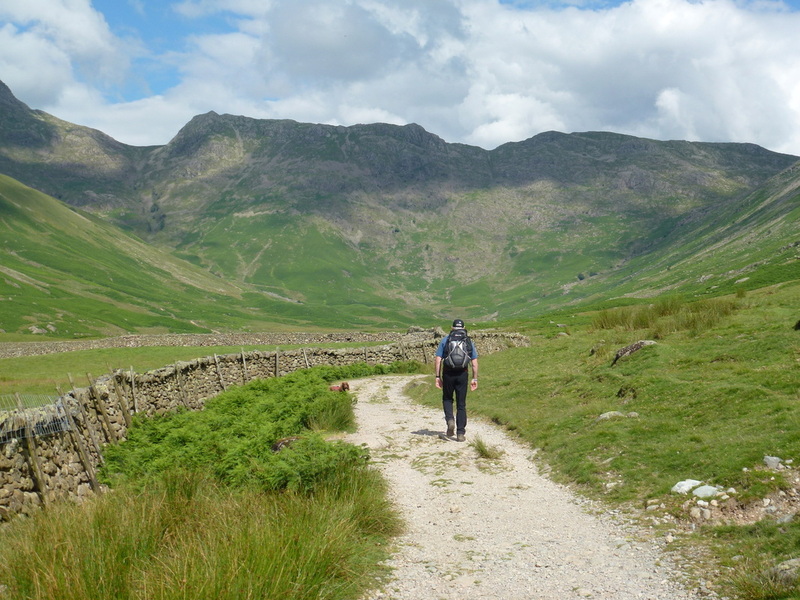 Therefore back in the Lakes and staying near Threlkeld, the weather looked promising therefore we made the long drive over to Langdale via the Kirkstone Pass. 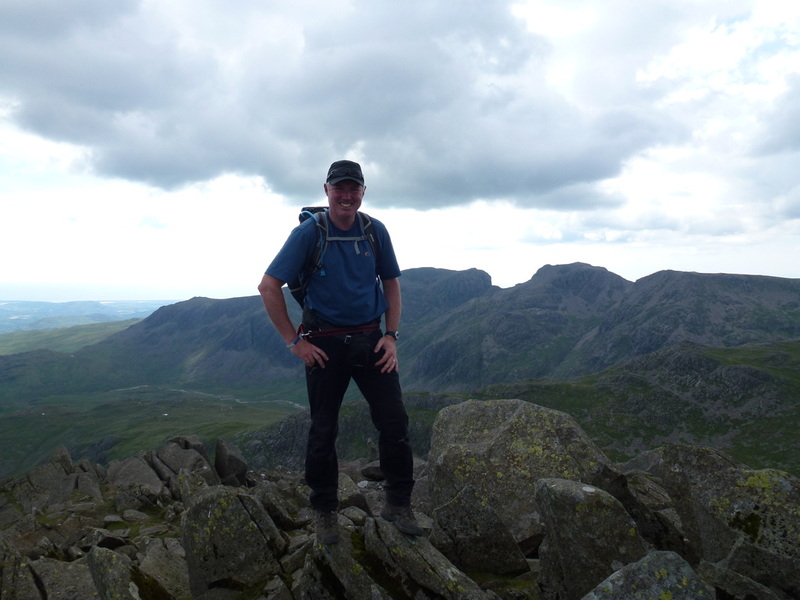 At 13.5 miles and nearly 5500 feet of ascent this was a big walk but thoroughly enjoyable. 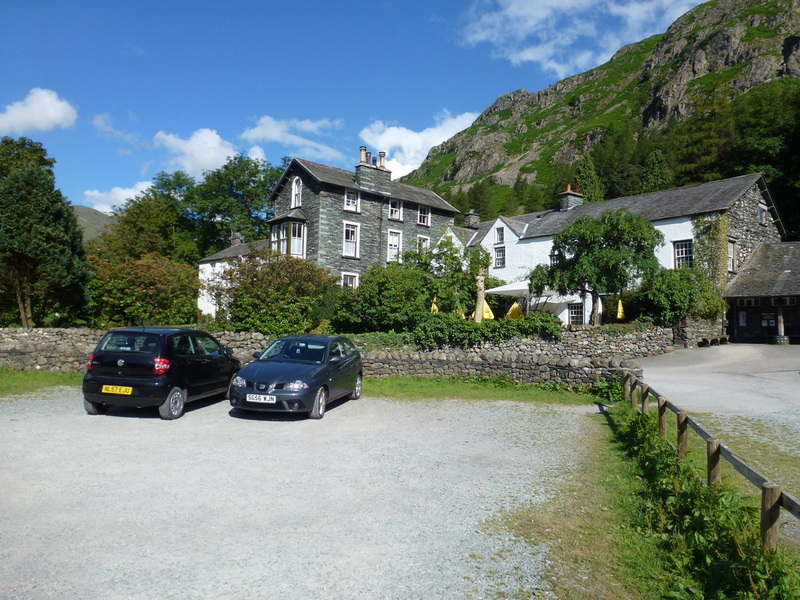 The walk today started from the Old Dungeon Ghyll Car Park which is a lot cheaper than the NT one right next door - £3 for the day which is payable in the hotel. 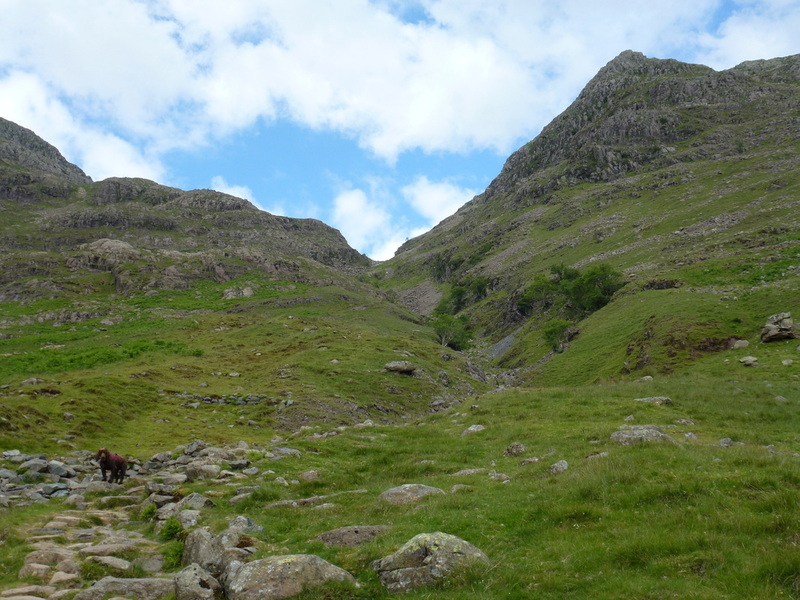 From the ODG the path makes its way through the lovely valley of Mickleden, passing the Langdale Pikes on route. 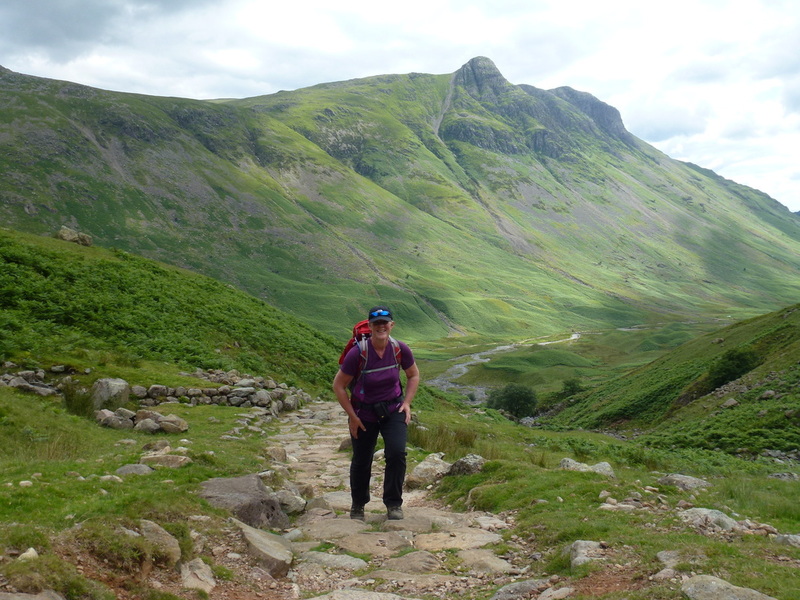 Crossing the footbridge over Stake Gill the path climbs gradually up Rossett Gill. 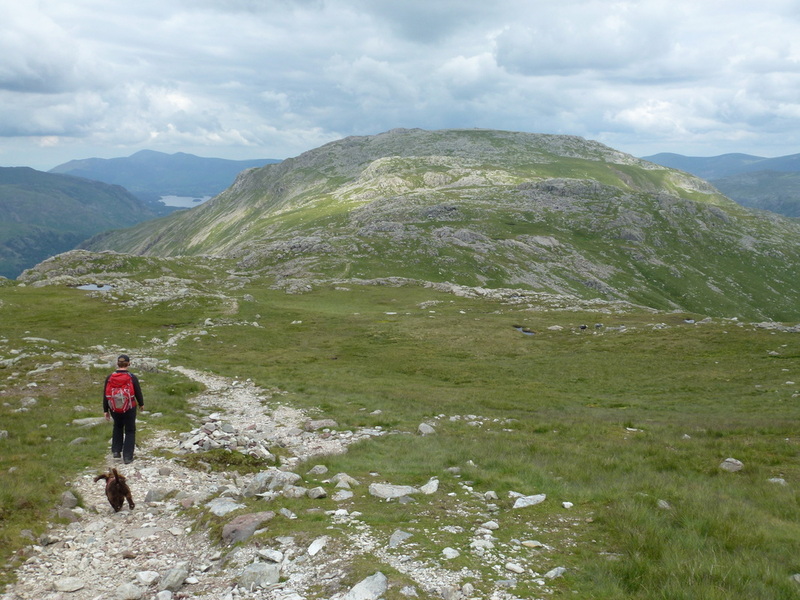 About a 1/3 of a mile before the col ahead, the path makes a sharp turn to the left - it is here you have 2 options - follow the path or enjoy some easy scrambling up to the col. We chose the latter and were soon at the col where it is a short pull up to the top of Rossett Pike where there are fine views over the surrounding fells. 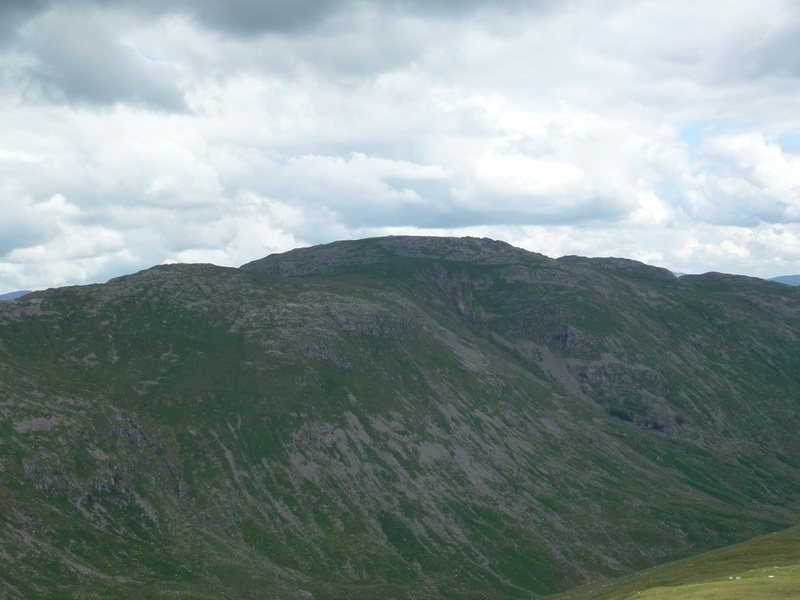 From Rossett Pike, the path drops to Angle Tarn below Esk Pike and then rises again to the cross shelter just below Esk Hause. 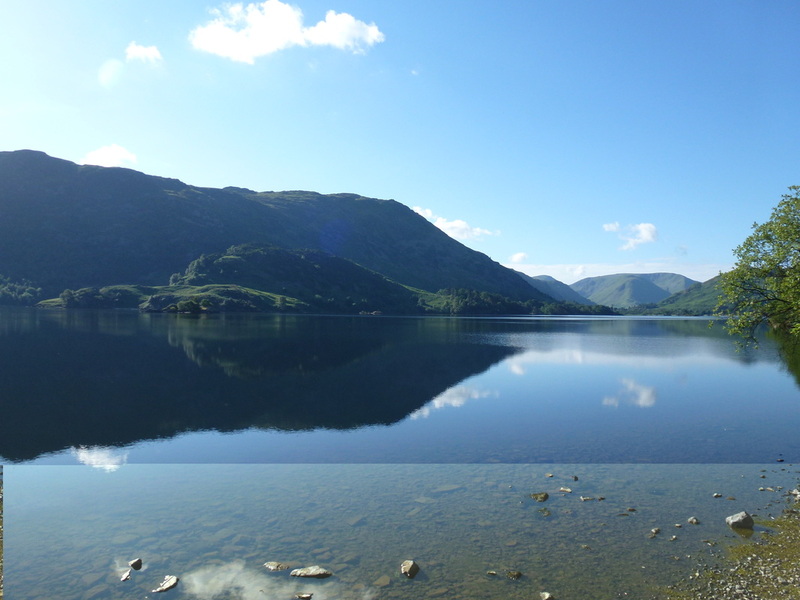 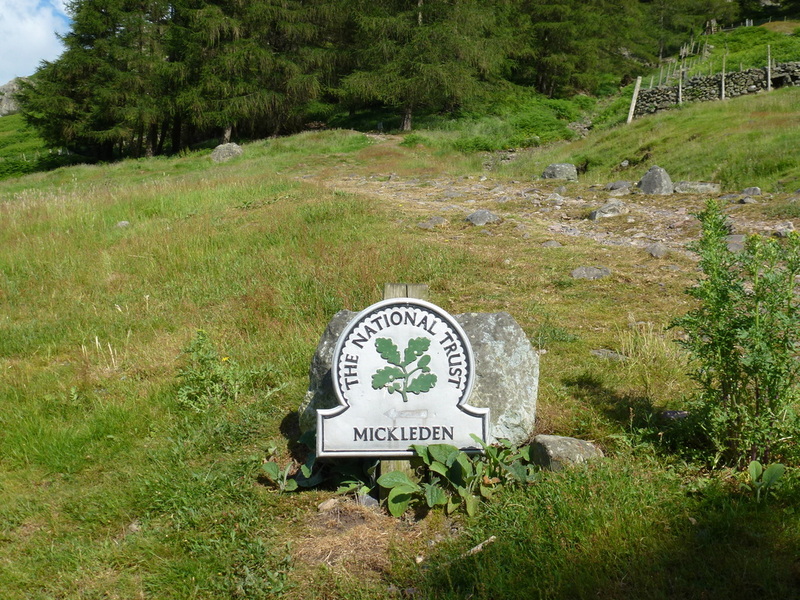 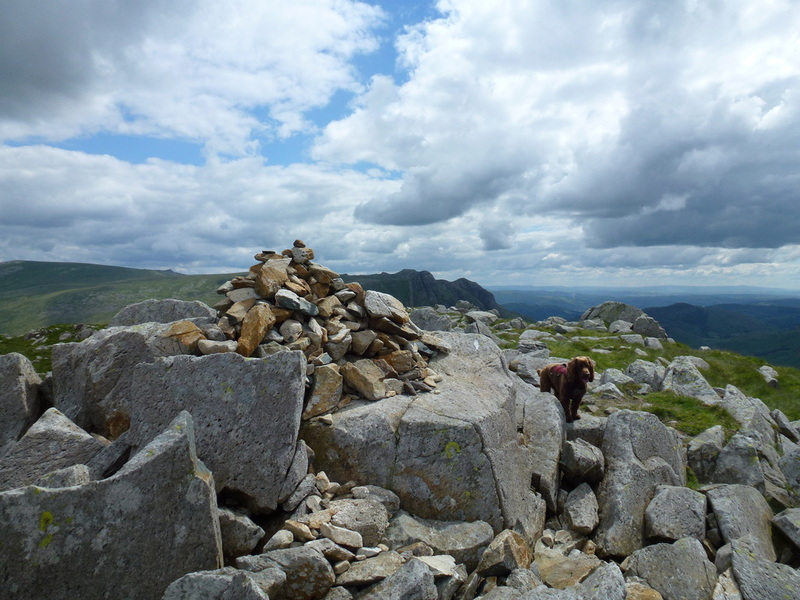 It is here where you join the path to Allen Crags and it is a short climb to the top of the fell. 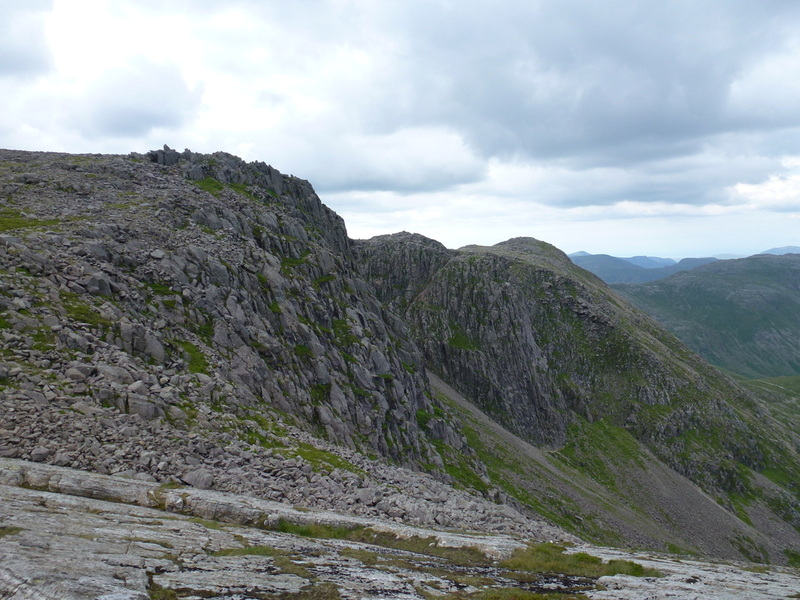 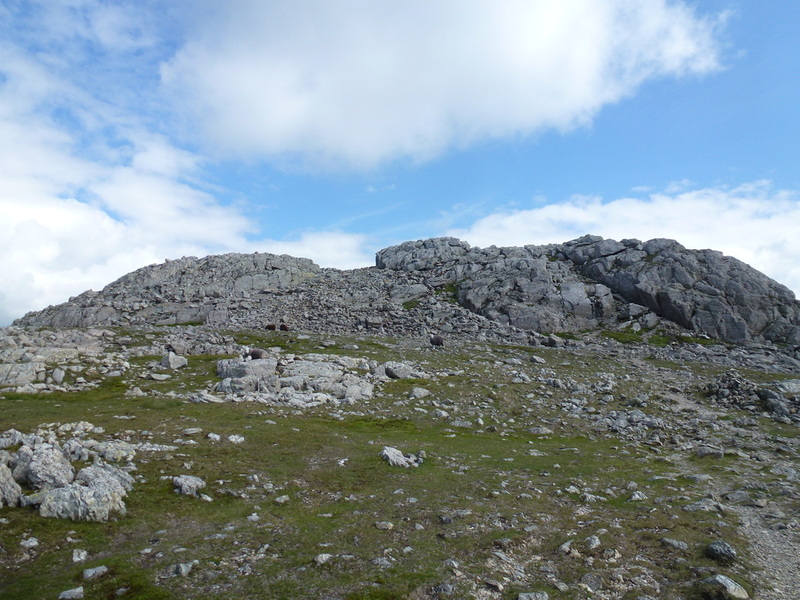 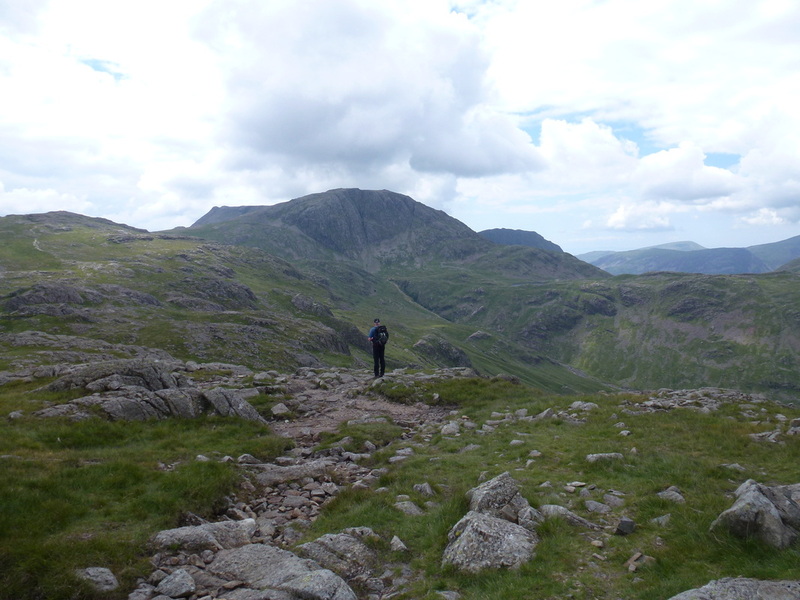 From the summit we strode over to Glaramara which looks closer than it really is. 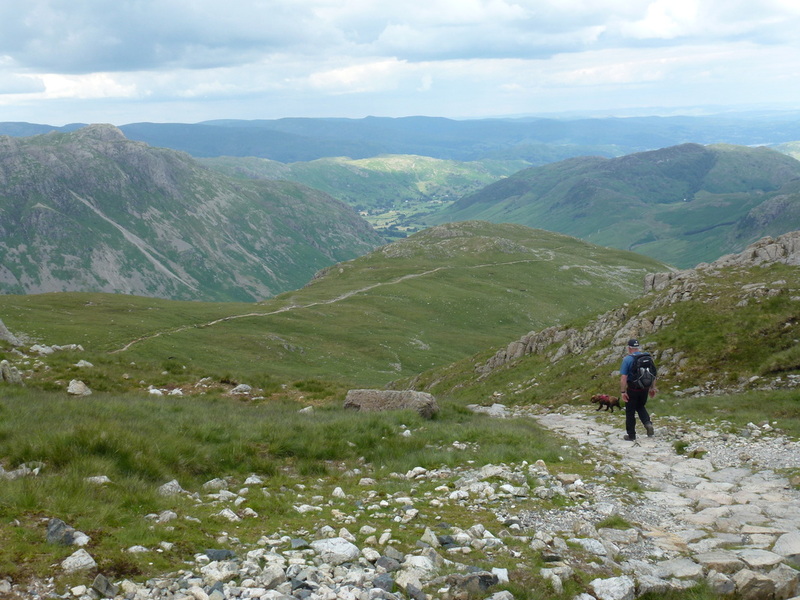 There are many little energy sapping ascents and descents before you finally gain the summit and enjoy the vista ahead down Borrowdale. 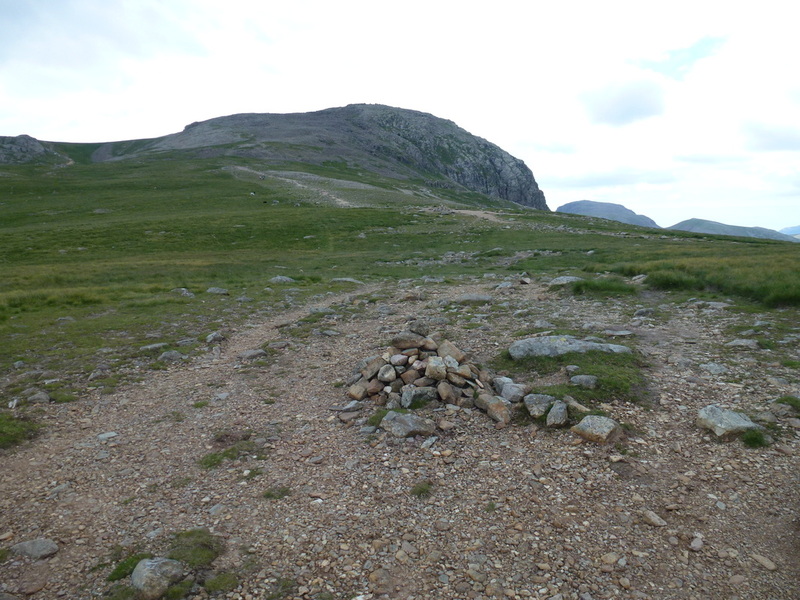 It is then just a question of retracing your steps back to the cross shelter below Esk Hause. 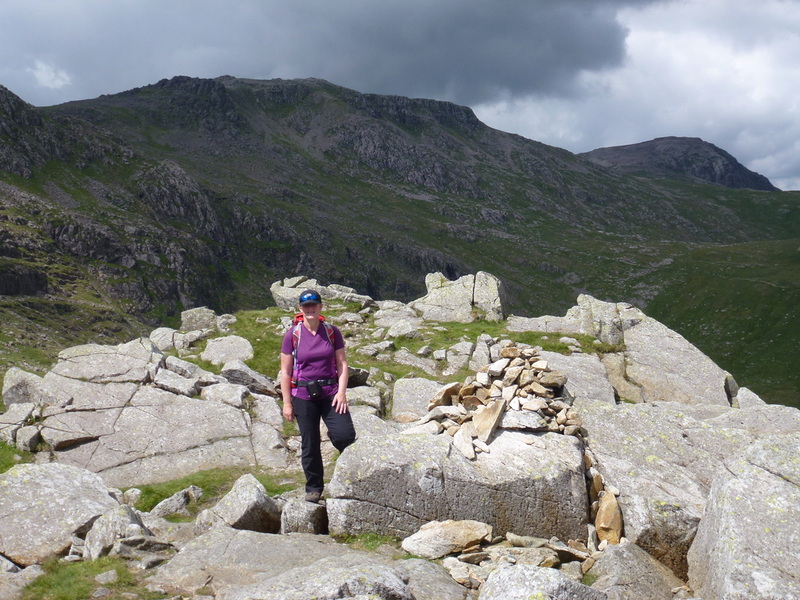 We always try and avoid going over the same ground twice but today was unavoidable unless we missed out Glaramara and Allen Crags. 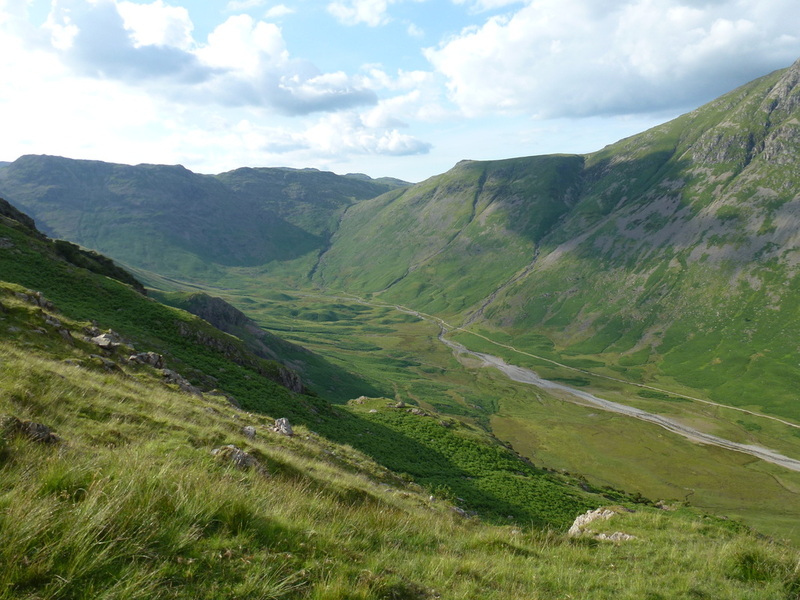 From the cross shelter there is a short pull up to the wide expanse of the pass at Esk Hause which is where paths from Eskdale, Borrowdale, Wasdale and Langdale all meet. 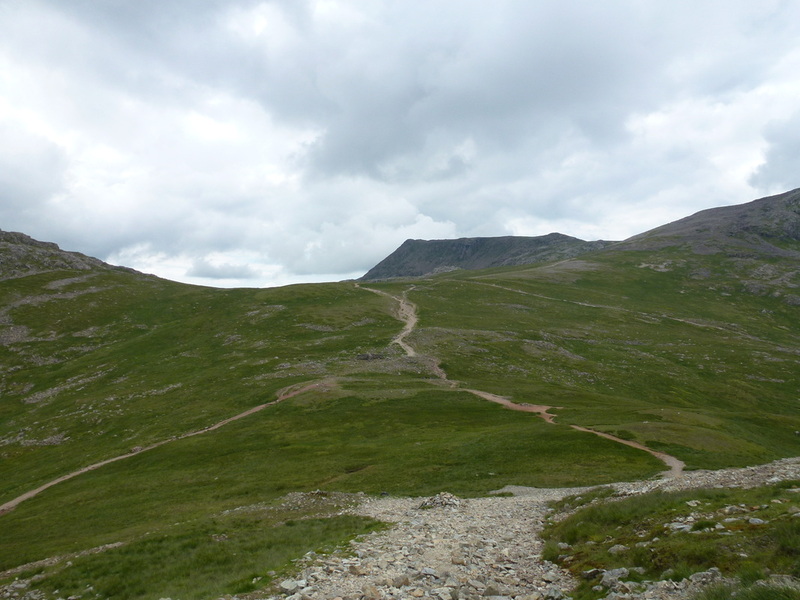 The pass is the route up to the summits of the Scafells and Great End as well as our next summit of Esk Pike. 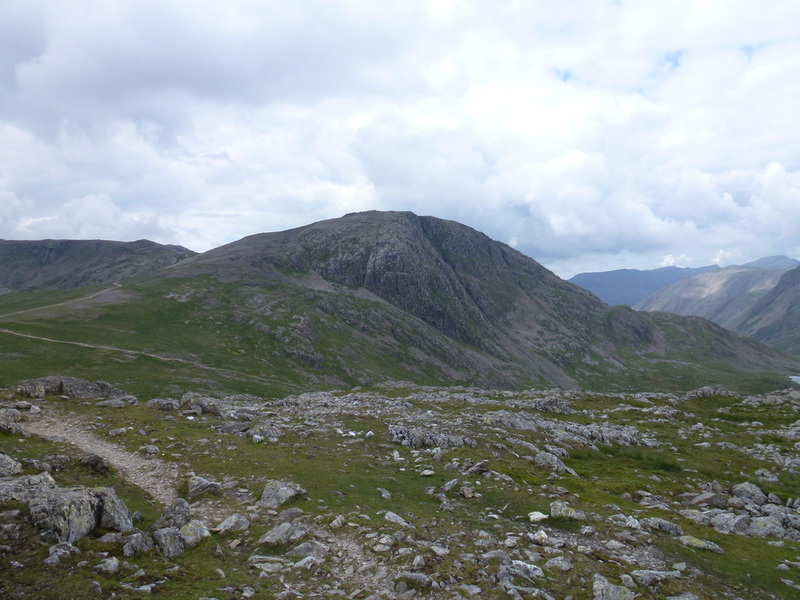 At nearly 2500 feet up it is the highest pass in the Lake District and therefore it is not too difficult a climb up to Esk Pike at 2904 feet. 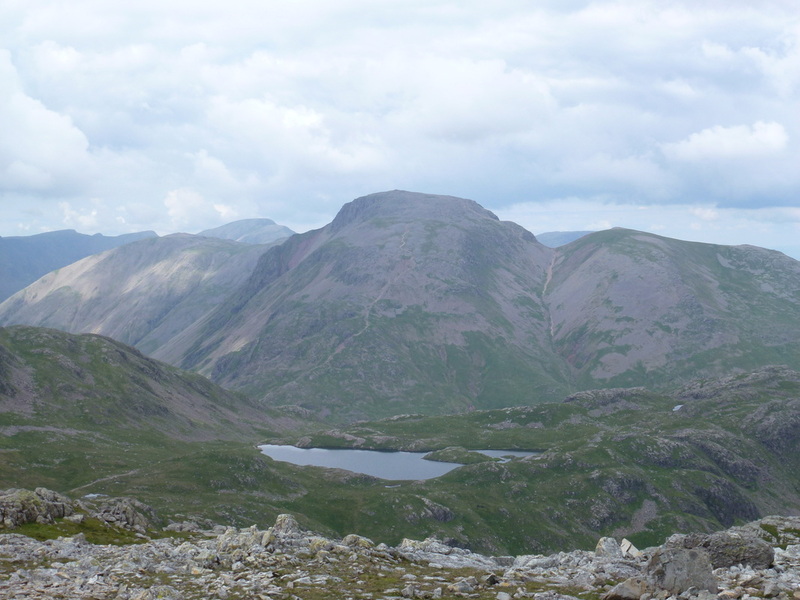 The views from Esk Pike are simply superb, particularly to Bowfell and the Scafells. 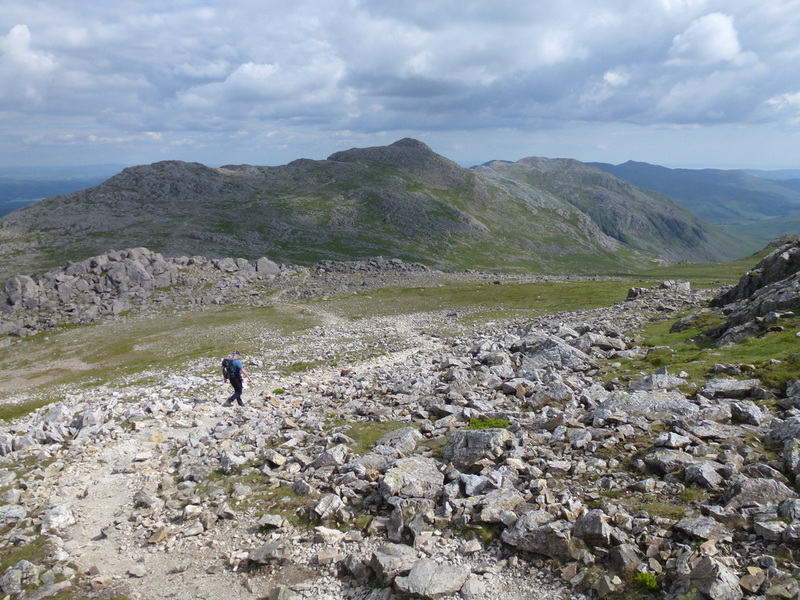 From Esk Pike the route drops to Ore Gap before a gradual pull up to the summit of Bowfell where there are once again superb and far ranging views over Lakeland. 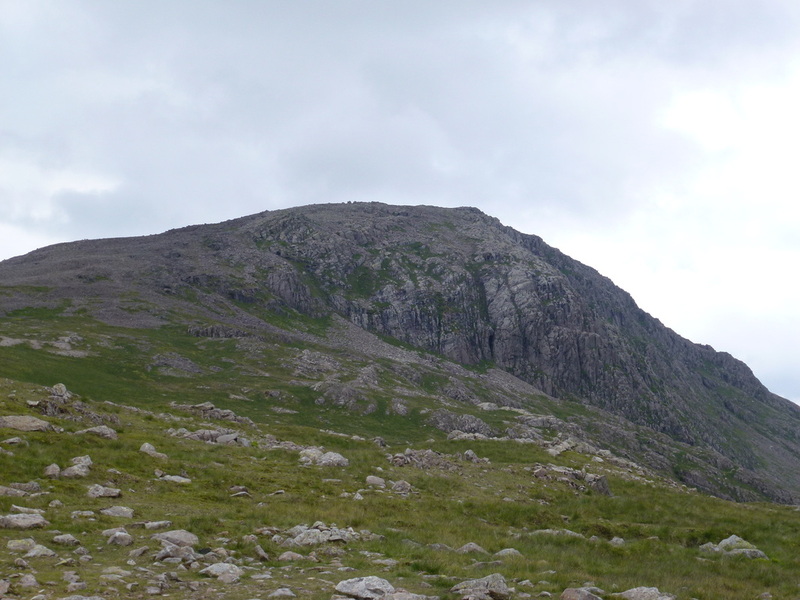 No visit to Bowfell would be complete without a quick detour to Great Slab, a remarkable sheet of tiled rock that is like walking up the roof of a house. 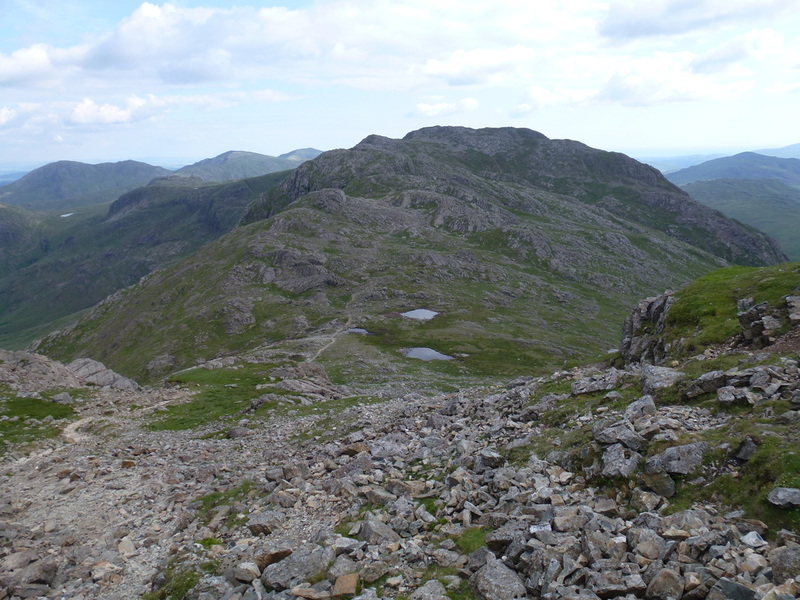 From the summit the route drops down to Three Tarns where there is the option to cross over here to begin the ascent of Crinkle Crags. 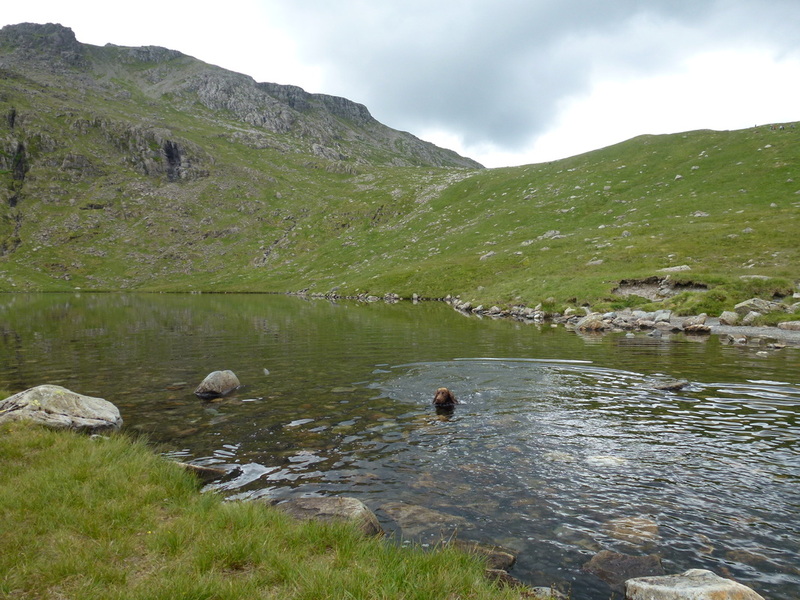 We turned left at Three Tarns and headed down The Band back towards Langdale. 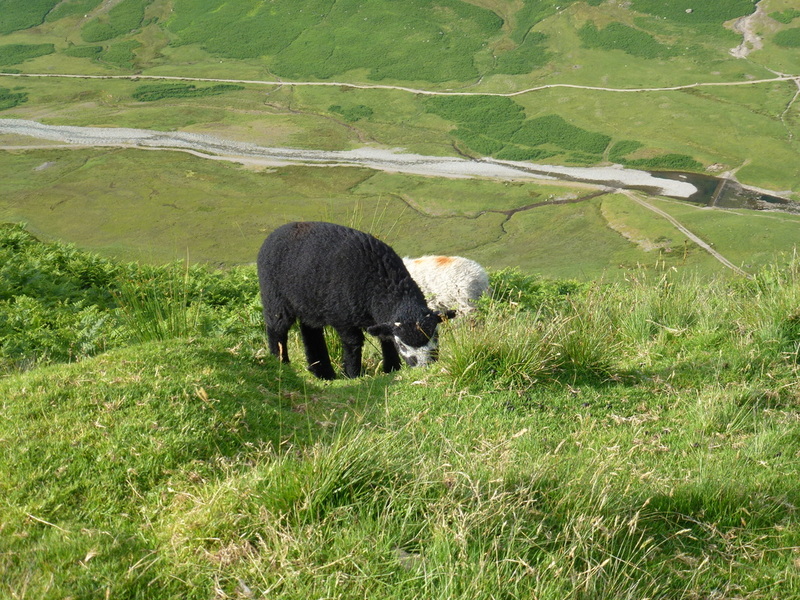 This is an unrelenting slog downhill and never seems to end but of course it does - at Stool End Farm. 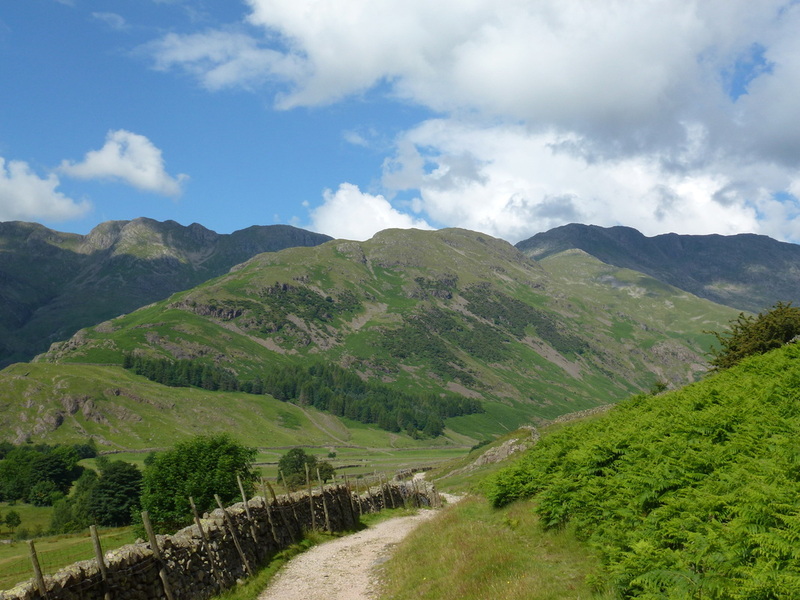 From the farm there is about half a mile of walking remaining which is on a good track back to the ODG. 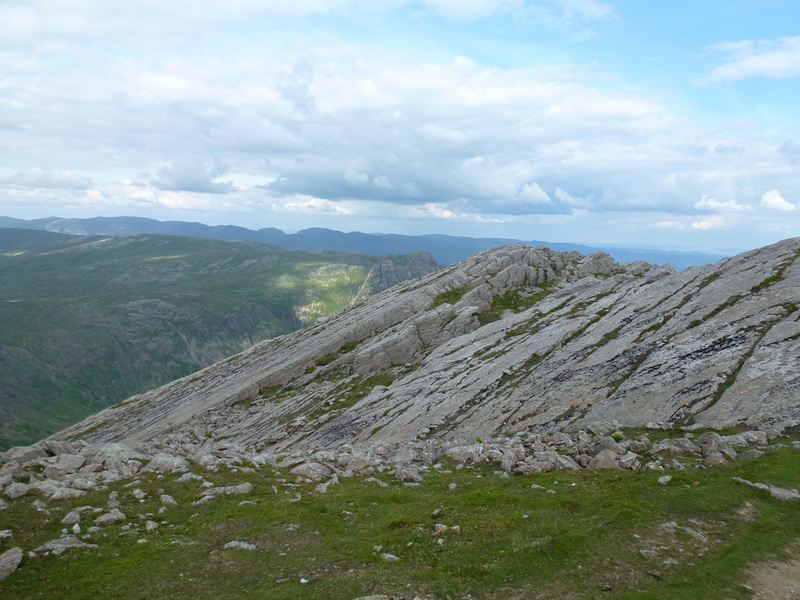 As with most walks on good weather days this was a quite exceptional outing with the opportunity to vary which summits you visit. 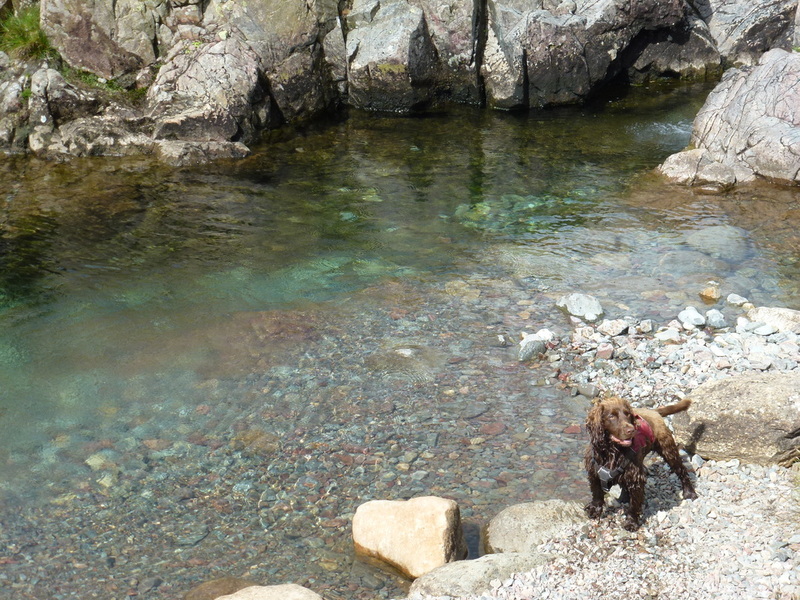 We took our time and thoroughly enjoyed this day - one to be repeated. 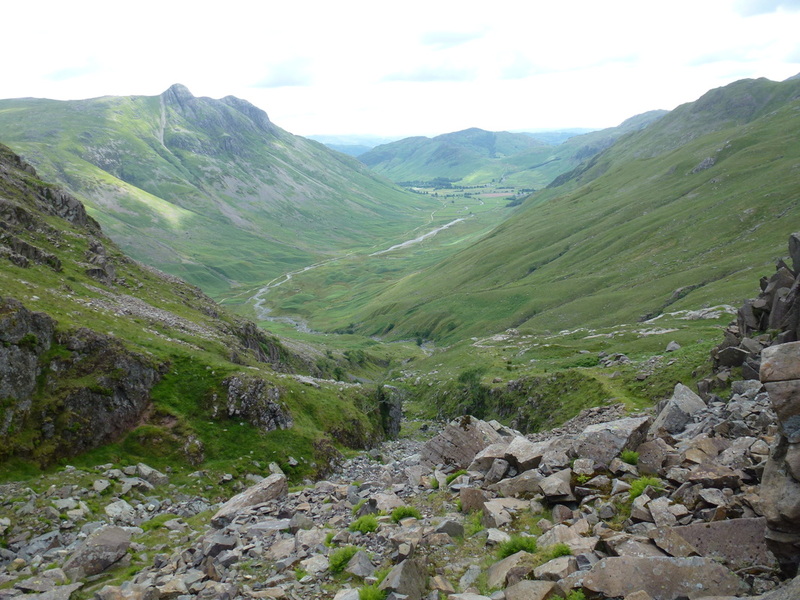 A bit further on and Rossett Gill comes into view. 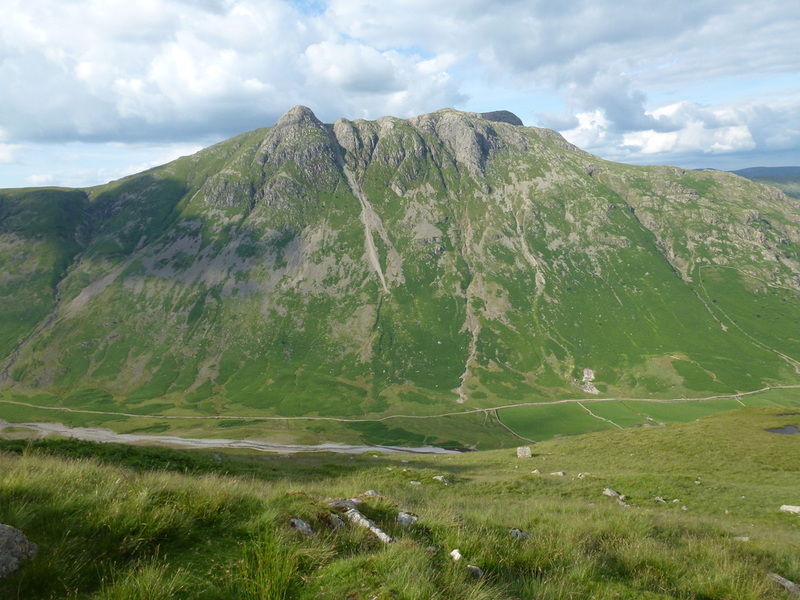 Our line of ascent is through the left hand gully which leads to the col just below Rossett Pike's summit. 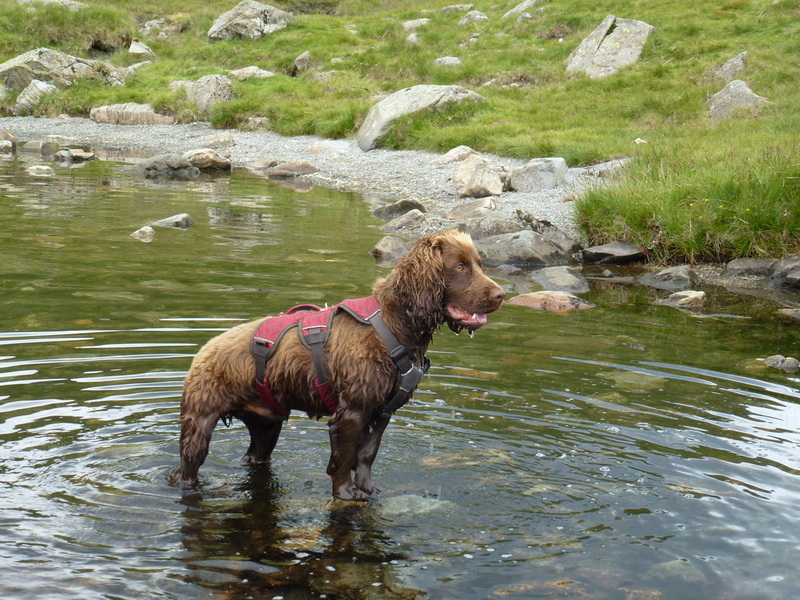 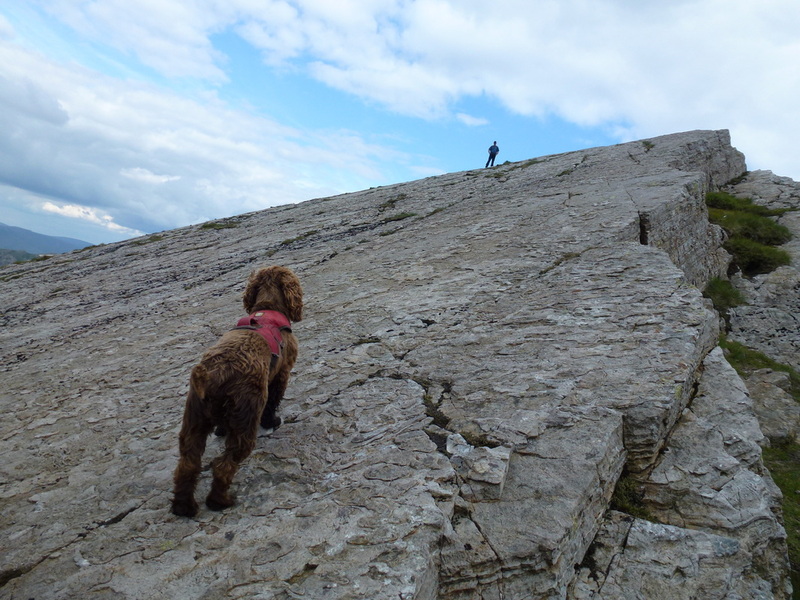 The summit is the knobbly bit at the top of the steep incline from the col.
One of our favourite photos of Fudge - here he is sampling the delights of Angle Tarn - what's he spotted? 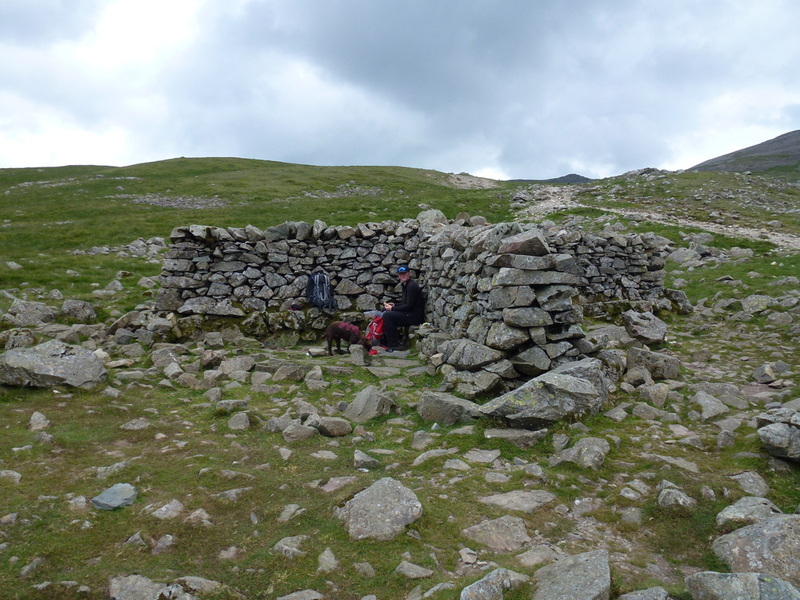 Lunch in the cross shelter below Esk Hause - Fudge is in "scrounge mode"
Heading over to Glaramara - this looked a short walk but believe me it wasn't! 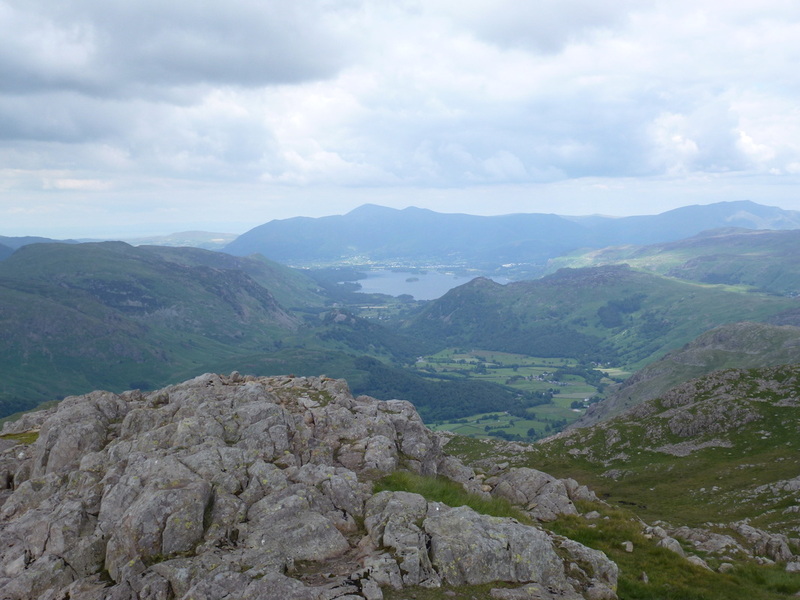 Derwent Water, Borrowdale and Keswick from the summit of Glaramara.